“The UAVs, Unmanned Aerial Vehicles, are coming.” So says Candice Miller, the Republican congresswoman from the Michigan borderlands near Detroit. She should know. Miller chairs the Border and Maritime Security of the House Committee on Homeland Security, which oversees the Department of Homeland Security’s rush to deploy drones to keep the homeland secure. In practice, there’s more boosterism than effective oversight in the House Homeland Security Committee and in Miller’s subcommittee. The same holds true for most of the more than one hundred other congressional committees that purportedly oversee the DHS and its budget. Since the creation of DHS in 2003 Congress has routinely approved annual and supplementary budgets for border security that have been higher than those requested by the president and DHS. One reason for the proliferation of DHS oversight committees is interest by congressional representatives like Miller in increasing DHS operations – and associated federal pork – in their districts. Another is the widespread and http://bit.ly/vFzL4eeminently bipartisan desire by politicians to demonstrate their commitment to border security, immigration enforcement, and counterterrorism. The DHS is the lead federal agency in bringing drones to the home theater, although the Department of Justice is also working closely with aviation technology manufacturers and local law enforcement agencies to introduce drones to police and sheriffs departments. The Pentagon is also playing a major role in the planning to open more U.S. airspace for drone testing and deployment for national defense and homeland security, while U.S. military and National Guard bases are hosting DHS drones. Another major player, of course, is the UAV industry, which is eager to open up not only U.S. airspace but also the international market for public and private drone operations. Drone undoubtedly will play an increasing role in military, homeland security, border security, and law enforcement operations. Miller is certainly right that drones are coming. But as drones start coming to a theater near you, there is little reason to believe that government has exercised the due diligence and proper oversight when reviewing drone deployment plans. Much of the enthusiasm for drones stems from the much-touted success of drones in military missions, particularly in hunting down and killing terrorists in South Asia and the Middle East. But overseas drone operations have rapidly escalated in the absence of strategic review of the long-term consequences for international law, U.S. overseas missions, and U.S. national security. News that a U.S. stealth drone – a RQ-170 manufactured by Lockheed Martin — apparently crashed on Iranian soil underscored fears of critics of drone proliferation that the technology will inevitably fall into hostile hands. The crash highlighted, too, the high crash rate of drones as the result of technological communications failures and the absence of onboard piloting. At home, drone deployment is marching ahead without any cost-benefit evaluations, impact studies, or even any assessments about which UAVs might best meet DHS perceived needs. 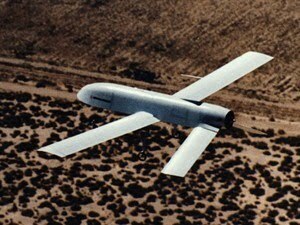 With respect to homeland security, Customs and Border Protection (CBP) is simply purchasing the hugely expensive unarmed versions of the Predator and Reaper UAVs (manufactured by General Atomics) that are currently deployed in overseas wars and interventions. Neither the Obama administration nor Congress has insisted that CBP provide documentation to support its repeated assertions that UAV’s function as “force multiplier” for the Border Patrol and that drone patrols have substantially improved “border security.” What is more, CBP has failed to demonstrate that it has sufficient skilled personnel and the required logistical capability to operate UAVs successfully. The House proponents of expanded drone operations have their own caucus. Cong. Buck McKeon, the powerful Republican who represents the southern California’s 25th district, created the UAV Caucus – now called the Unmanned Systems Caucus — in 2009. McKeon also chairs the House Armed Services Committee, where he promotes drone use in foreign wars. Under Miller’s chairmanship, the Border and Maritime Security Subcommittee, has become another major font of drone boosterism. The committee’s ranking member is Texas Democrat Henry Cuellar, who represents the border district of Laredo. Cuellar also serves as cochair of the Unmanned Systems Caucus. The creation of the Department of Homeland Security — and the associated framing of immigration and border enforcement as security operations – has fostered a conceptual integration of national security and border control.